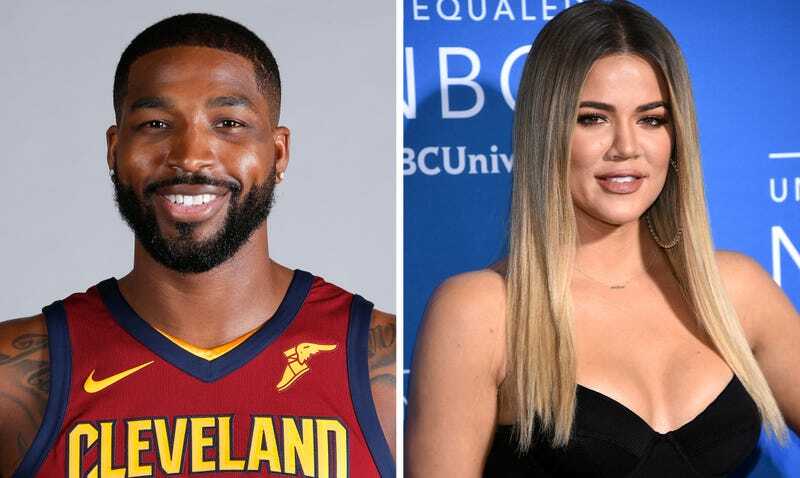 In typically dramatic fashion, the Daily Mail reported on Tuesday that Cleveland Cavaliers player Tristan Thompson was making out with a “mystery brunette” in New York last weekend, while his girlfriend Khloe Kardashian, who’s due to give birth to their child any day now, was…somewhere else. Shortly after the Daily Mail story surfaced, TMZ released surveillance footage it had somehow obtained of what appears to be Thompson kissing and fondling two women at a hookah lounge just outside Washington DC. The footage was recorded on October 7, at which point Thompson was already dating Kardashian, and she was three months pregnant.